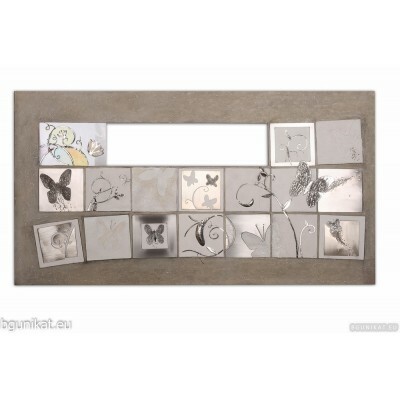 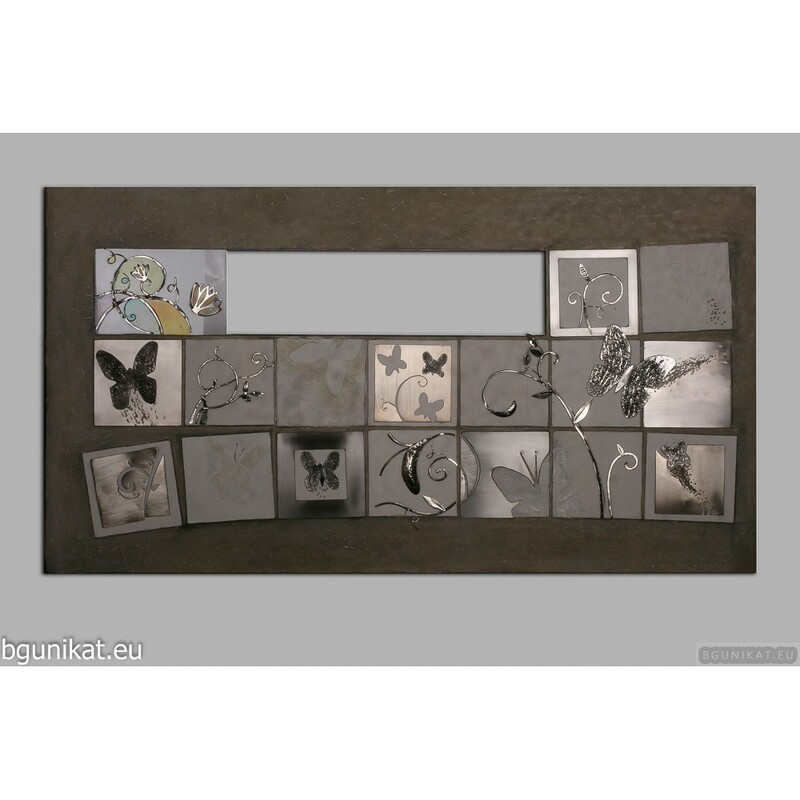 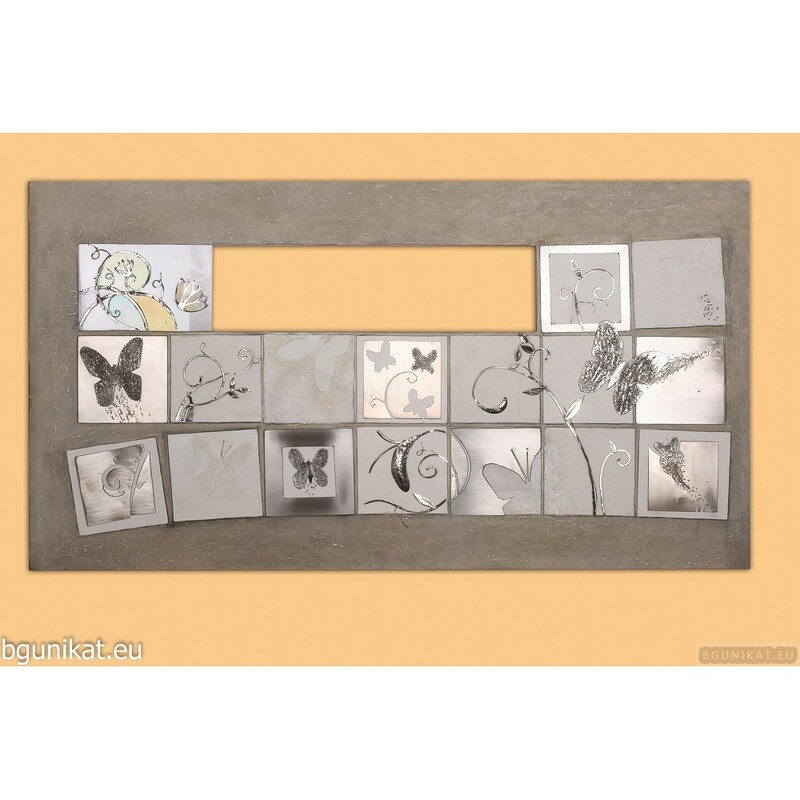 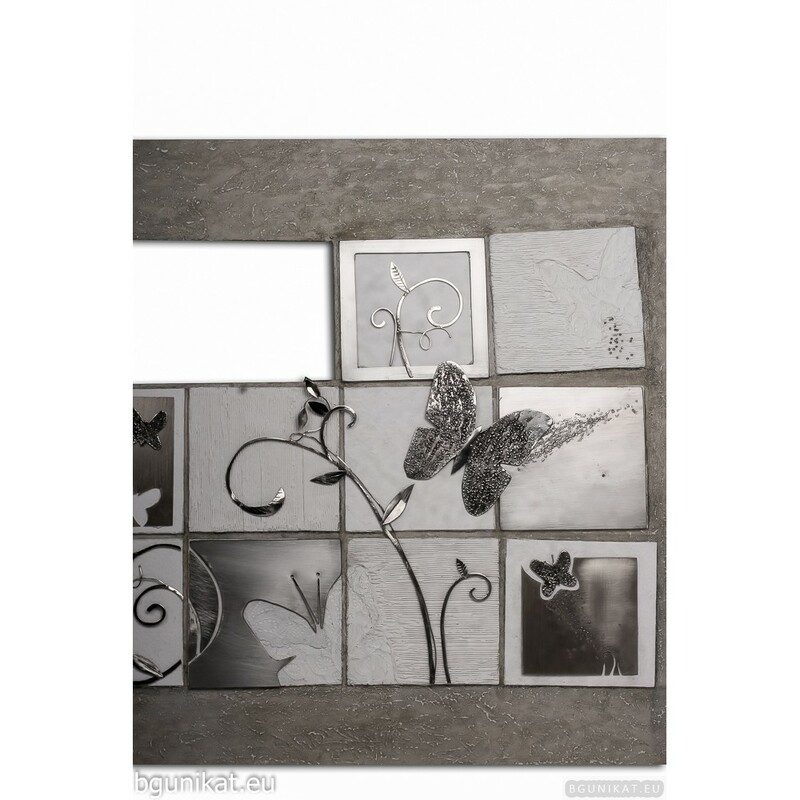 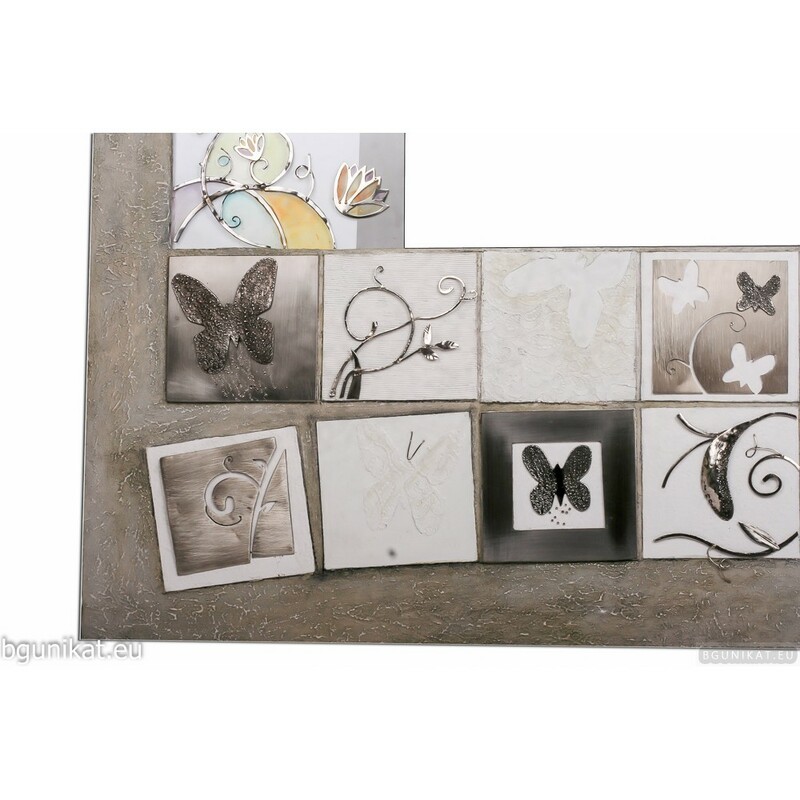 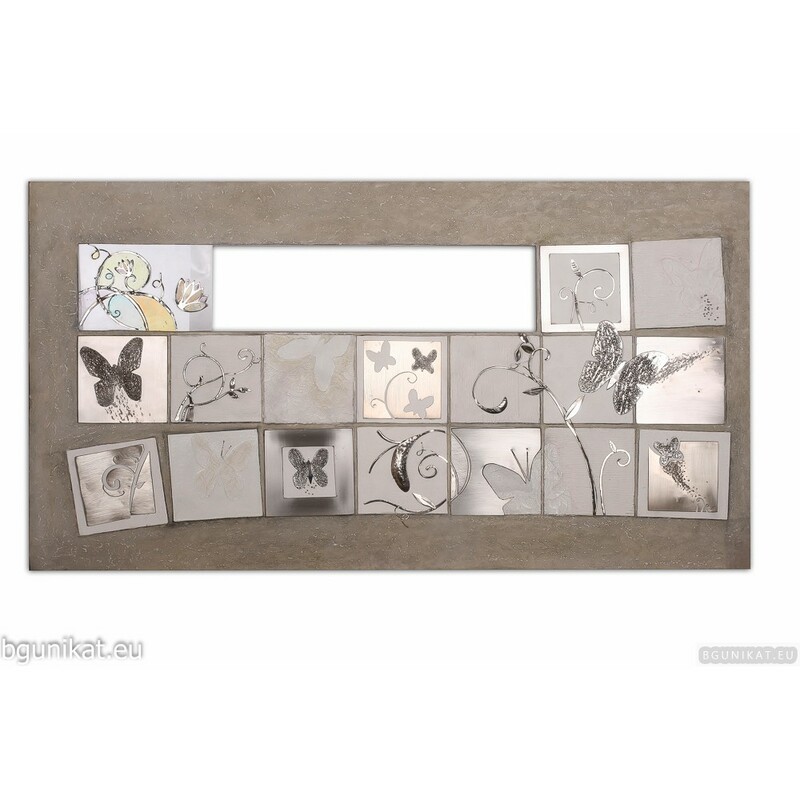 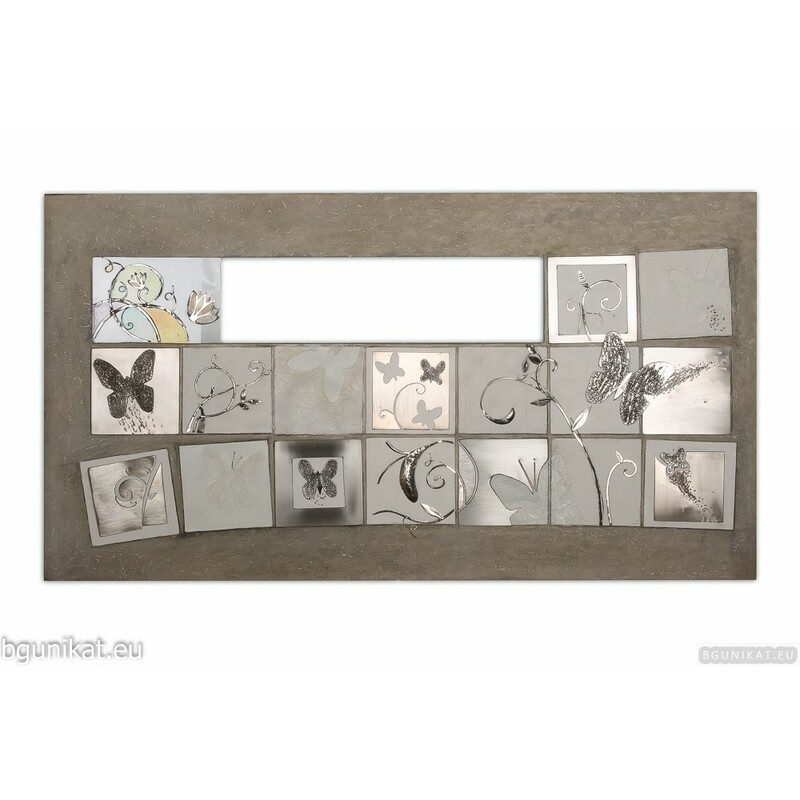 Wall panel with butterflies and flowers. 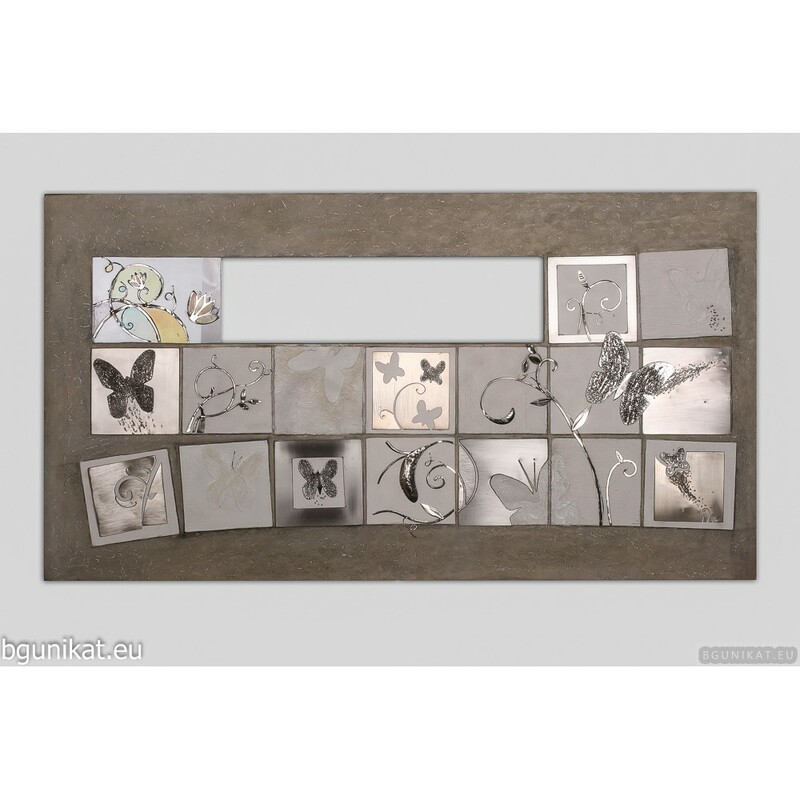 Wall panel with butterflies and flowers. 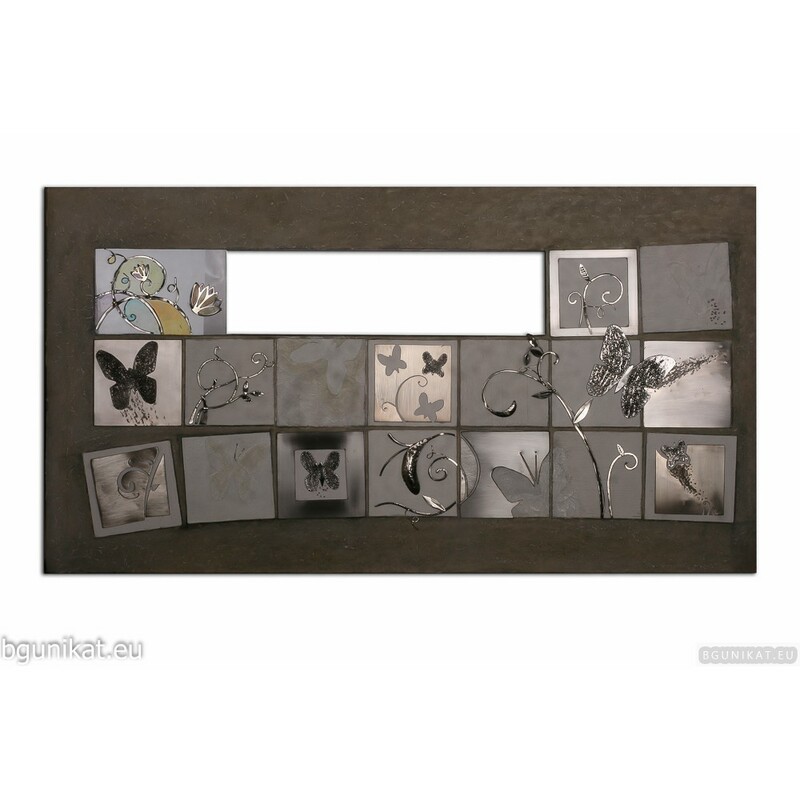 This unique wall panel is made of natural materials, natural pigments in combination with metal work. 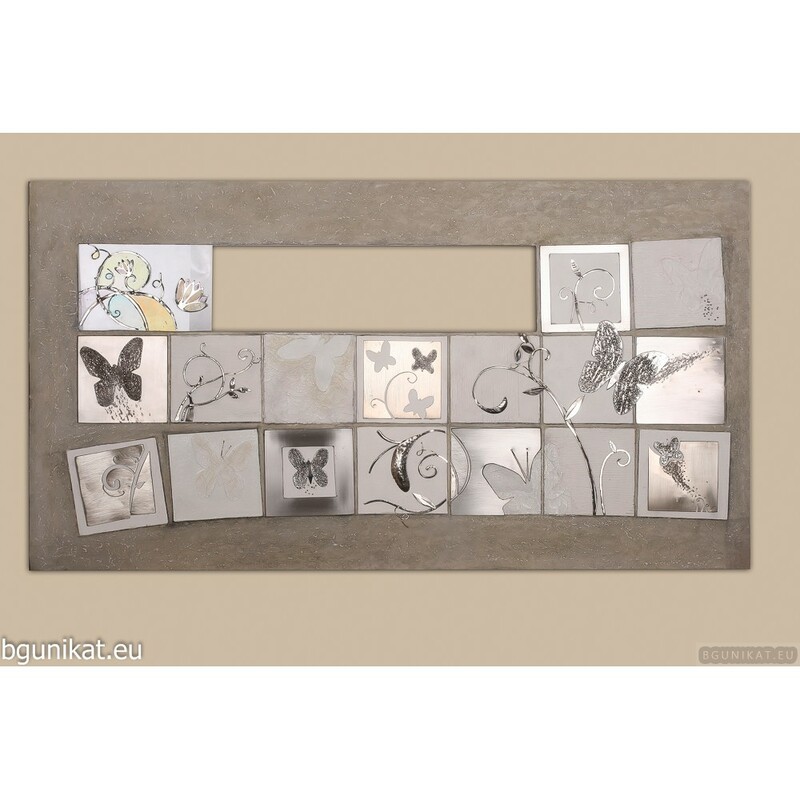 Hand painted glass and handcrafted metal works will make your home unique and a little bit more cozy.